Events and shows over the weekend and week ahead, including a Beatles tribute concert with the ASO, Her Majesty Theatre’s Closing Benefit, the return of comedy duo Lano & Woodley and the French Film Fest. Channelling The Beatles in 'All You Need Is Love'. A concert featuring some of The Beatles’ most famous songs will be presented tonight and tomorrow by Let it Be Australia, in association with Adelaide Symphony Orchestra and the Festival Centre. Singers Jack Jones, Ciaran Gribbin, Rai Thistelthwayte and Jackson Thomas will perform with the orchestra to bring to life the arrangements of The Beatles collaborator, arranger and producer George Martin. A rock band will join the line-up on stage, with the playlist including “Yesterday”, “Lonely Hearts Club Band” and “Yellow Submarine”. More here. The Australian String Quartet will team up with the South Australian Museum to present what it describes as an “environmentally low-impact evening of high-impact music” marking Earth Hour this Saturday. The museum will turn off its lights as a symbol of support for Earth Hour, and the event will have paperless entry and sustainable catering. Find out more here. 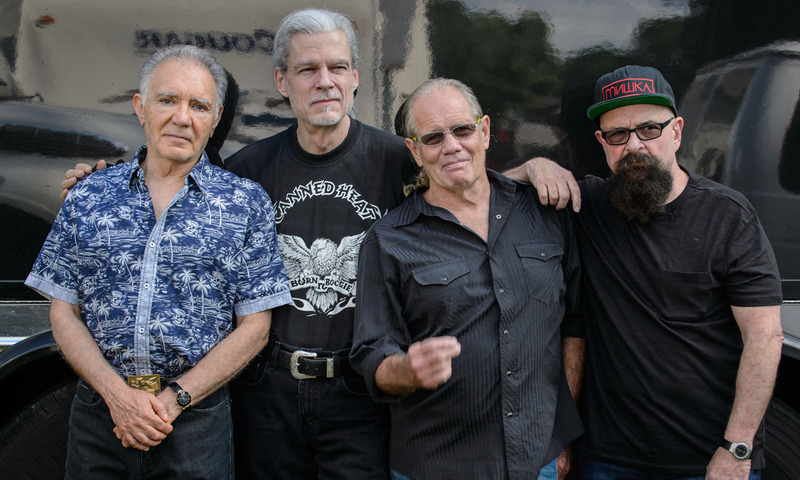 Los Angeles rock/blues band Canned Heat will perform at The Governor Hindmarsh next Wednesday as part of a sideshow act from Bluesfest Byron Bay. The group’s 40-year history has seen them headline the original Woodstock Festival in 1969 and release global hits including “On the Road Again”. They will perform a blend of roadhouse electric blues, rock and boogie tracks. More information here. Theatre lovers can enjoy one last hurrah at Her Majesty’s Theatre this Saturday at a concert which will celebrate the building’s 115-year history before it closes to undergo renovations. Performers including Johanna Allen, Robyn Archer, Michaela Burger, Cameron Goodall, Nancye Hayes, Ali McGregor, Meow Meow, Rob Mills and Tim Rogers will perform, with proceeds raised from the event going towards the Her Majesty’s Theatre Renewal Project. Read InDaily’s interview with former performer Phyl Skinner, who will attend the event, here, and purchase tickets here. Traditional Indian sitar player Ustad Shujaat Khan will perform at Nexus Arts this Saturday for the Adelaide leg of his Australian tour. Shujaat Khan is known for his unique style of sitar playing, called gayaki ang, which imitates the subtleties of the human voice. Australian-based tabla (traditional Indian drum) player Jay Dagbar will accompany him for this one-night-only performance. Purchase tickets here. Adelaide Fringe may be over, but there will be a day of Fringe performances and workshops in Mount Gambier tomorrow. Venues across the town will host performers including cabaret singer Louise Blackwell, local singer-songwriter Louise Adams and circus group Cirque Nocturne. The “Mount Gambier Fringe Showcase” will round off the day from 5pm until 10pm. 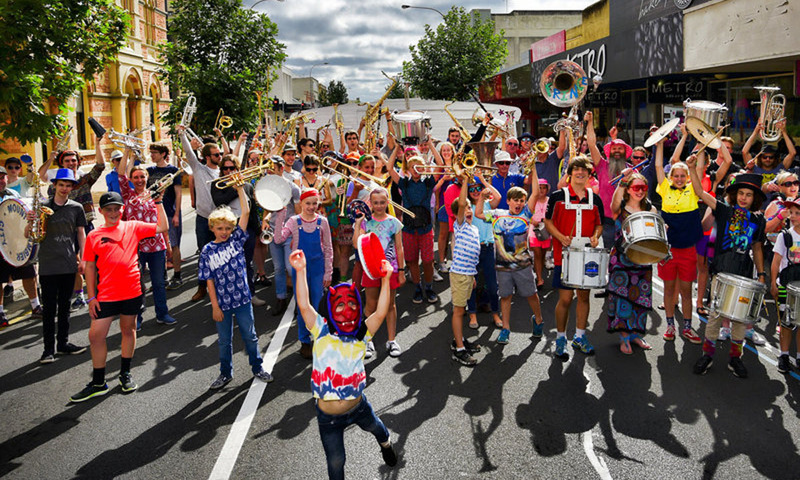 Fringe in Mount Gambier runs for one day only. The Adelaide Symphony Orchestra’s Classics Unwrapped will see a performance next Wednesday featuring the works of Bernstein, Mozart, Grainger and Mendelssohn. Conductor Guy Noble will lead the orchestra alongside concertmaster and player guest Natsuko Yoshimoto for this “Young Talent Time” edition of popular series. Find out more about the ASO’s upcoming Classics Unwrapped concerts here. 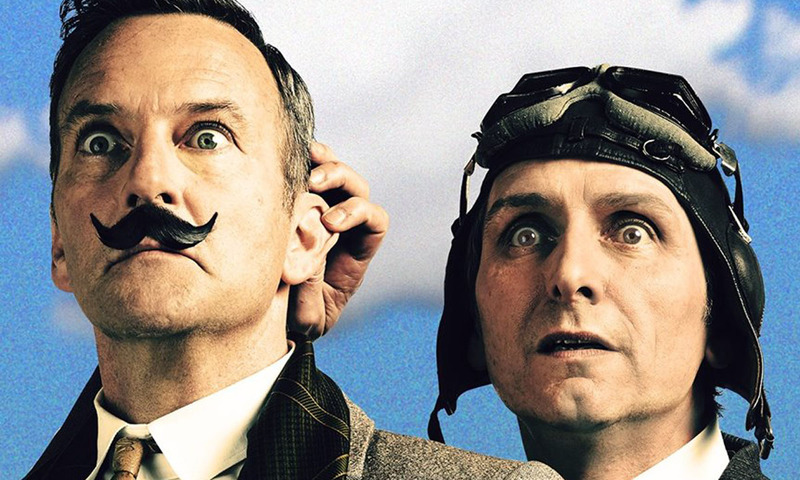 Australian comedy duo Lano (Colin Lane) and Woodley (Frank Woodley) will return from a 12-year hiatus to present their new show, Fly, at Adelaide Entertainment Centre tomorrow night. The duo were comedy icons throughout the ’90s and early 2000s, best-known for their stand-up and slapstick theatre. Last time we checked, tickets were still available. The annual Alliance Française French Film Festival has begun at the Palace Nova East End and Prospect cinemas. This year the festival will screen 50 films over one month. Iconic French actors including Juliette Binoche, Vincent Cassel, Vanessa Paradis, Isabelle Huppert and Gérard Depardieu will star in the selection of comedy, drama, romance, biopic, period and animated feature films. The festival runs until April 15. Full program here. The Art Gallery of SA, Samstag Museum of Art, Jam Factory and Adelaide Botanic Gardens are hosting exhibitions in this year’s Adelaide Biennial of Australian Art. Thirty Australian artists interpret the theme Divided Worlds through photography, painting, sculpture, installation and moving image. On Tuesday, the Art Gallery will host a lunchtime talk, during which Curator of Contemporary Art, Leigh Robb, will discuss the work of Adelaide Biennial artist Lindy Lee. Discover more Adelaide Biennial events here and read InDaily’s interview with the Biennial curator and artists here. Margot Robbie stars as American figure skater Tonya Harding in the award-winning 2017 film I, Tonya, screening at the Open Air Cinemas at Glenelg Beach tonight. Also screening are Paddington 2 (Saturday), The Greatest Showman (Sunday), Molly’s Game (Tuesday), Three Billboards Outside Ebbing, Missouri (Wednesday) and Jumanji: Welcome to the Jungle (Friday). DJs will entertain crowds on Friday evenings and food sampling will take place on Sundays. Dogs are welcome at all screenings. Gates open at 6pm and films begin at sundown. Openair Cinema runs until April 15; full program here. Adelaide retro tribute band Chunky Custard will headline the second UneARTh Festival at Ada Ryan Gardens in Whyalla. The free event runs all day next Friday and Saturday and features circus acts from Time and Space Circus, music from the Germein Sisters, dance performances from the Whyalla Ballet School, and cabaret from Hans. Find out more here.